MEXICO – The Center for Instruction, Technology and Innovation hosted the 5th annual School Safety and Security Seminar on November 29. The goal of the seminar was to inform and heighten awareness of current safety concerns and issues to keep our schools and communities safe. 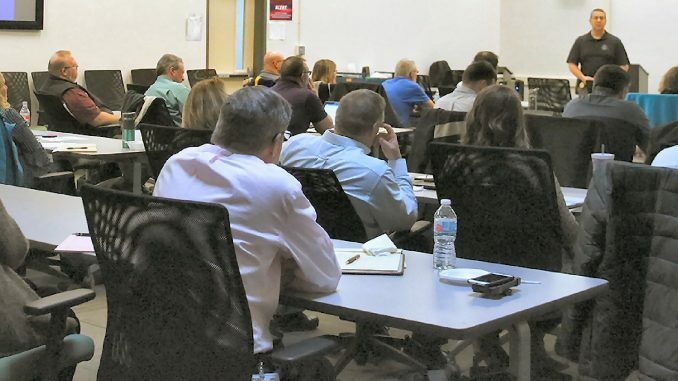 The day featured four presentations: a stop the bleed training by the Oswego County Emergency Management Office, an overview of current drug issues by the New York State Police, an update and review of OSHA safety plans and requirements by Oneida Herkimer-Madison BOCES Safety Office and a threat assessment training by the Utica National Insurance Group. Staff from CiTi, Mexico Academy and Central Schools, Fulton City School District, Pulaski Academy and Central Schools, GST BOCES, DCMO BOCES and OCM BOCES were in attendance.